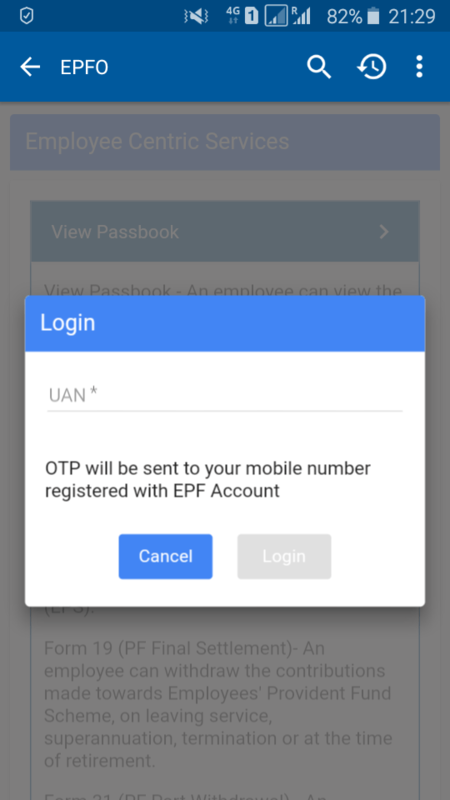 How to view EPF passbook and withdraw through Umang App? You may be aware that the EPFO has launched an online EPF claim facility in May 2017. 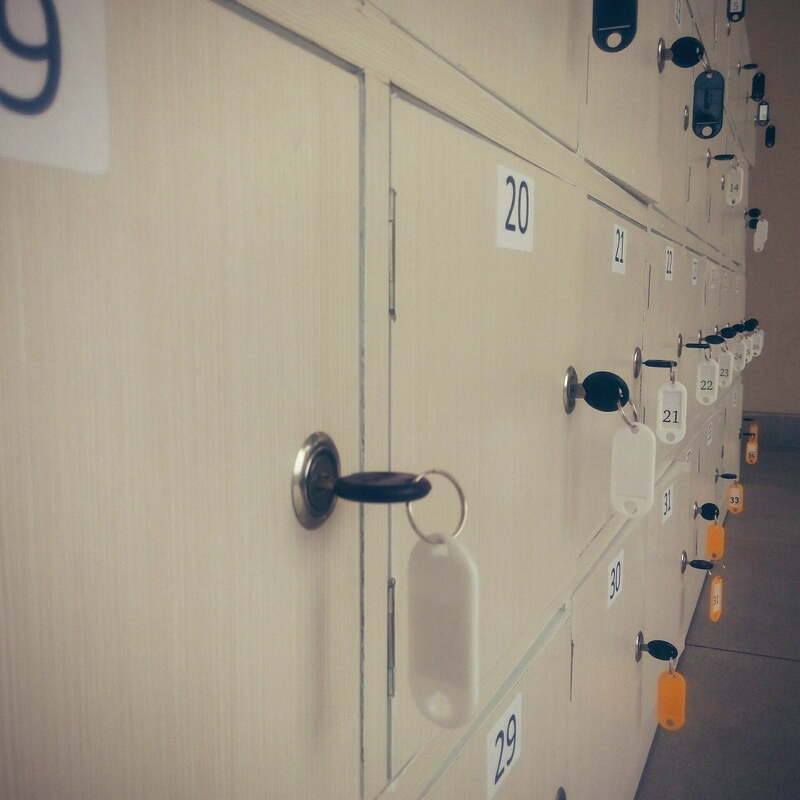 It is a good facility for an employee who wishes to check their EPF balance and want to withdraw. The same can be done through EPF Umang App. A few months back Government has also launched a mobile app called UMANG (Unified Mobile Application for New-age Governance). The aim of this app is to provide all government services under one roof ranging from central to local government bodies and other utility services from different states. Citizens can install one app to avail multiple government services. The app is available for smartphones, feature phones, tablets, and desktop computers. Currently, it is offering 213 services from 39 different government bodies across 9 states. UMANG provides seamless integration with popular customer centric services like Aadhaar and Digilocker. As of now, you can find very popular services related to EPFO, PAN, NPS, Aadhaar, Passport, AICTE, CBSE, Pathshala, GST, HP Gas, Bharat Gas, Indane Gas, PMAY, DigiLocker, National Scholarships etc., on UMANG. Download the app from the below link for your smartphone. Below are the mendatory requirements for using EPFO service through UMANG app. Your Aadhaar must be linked to UMANG app. You must have your active UAN number. 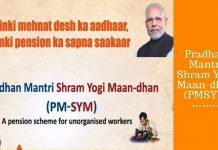 Your UAN number must be linked to Aadhaar. Your UAN number must be KYC complied to raise a withdrawal claim. Once the app is installed on your smartphone, you can find EPFO option on the home page of the app. Go to “Employee Centric Services” option and input your UAN number. 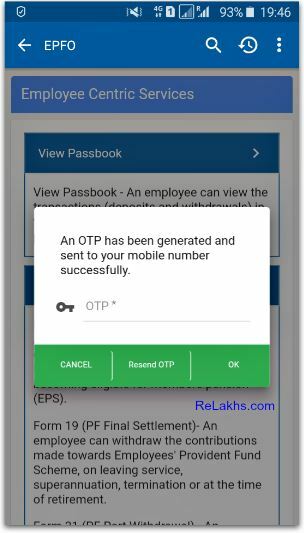 you will be then sent an OTP on the mobile number registered with EPF. The EPFO section of Umang app provides 3 services. For viewing the passbook, you need not have to link Aadhar with Umang app. However for other two services you have to link Aadhar with your EPF account. Currently, it is not offering EPF transfer request, the same can be done from the EPF portal. 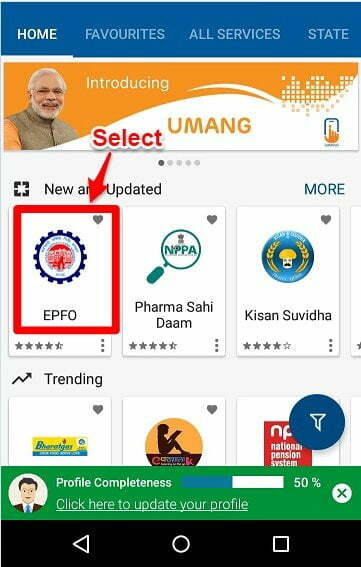 Remember, UMANG is the only official app providing EPFO services. 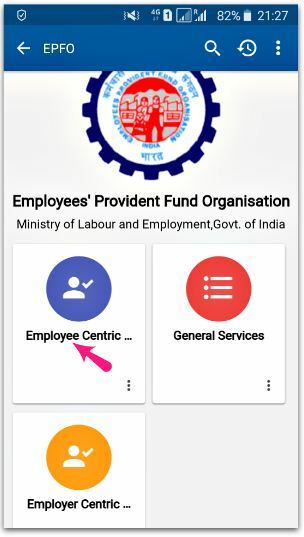 EPFO is also working towards providing other services like Aadhaar seeding, nominations, and pensioner-specific services through the Umang app. An employee can view his/her EPF account statement of the current and previous employer in the form of passbook. Currently, there is no download option available, maybe the same will be available in the near future. There are 3 different types of claim you can submit via UMANG app. Form 10C (Pension Withdrawals Benefits)-An employee can withdraw the contributions made towards Employees’ Pension Scheme, on leaving the service before becoming eligible for members pension (EPS). Form 19 (EPF Final Settlement)-An employee can withdraw the contributions made towards the EPF, on leaving service, superannuation, termination or at the time of retirement. Form 31 (EPF Partial Withdrawal)-An employee can withdraw the contributions made towards EPF, before leaving of service for various purposes, therefore known as “Advance Form”. How to withdraw EPF using Umang app? On the home page of the Umang app, select EPFO service as shown in the screenshot below. Click on the above link and you will find below screenshot. In the next screen, you can find options – View passbook, Raise claim & Track Claim. To submit your EPF claim (Form 10c, Form 19 or Form 31), click on ‘Raise Claim‘ link. You will be prompted to key-in your EPF UAN in the next screen. Once you enter your UAN number, it will send you an OTP on the mobile number registered with EPFO. Once you enter OTP, then you have to choose the type of online EPF withdrawal claim and submit the same through UMANG App. Your employer is not at all involved in this process. After you successfully submit your claim, you will get a claim reference number. This number will help you to track your claim status online and offline. Your EPF saving is meant for your retirement. So think ten times before you withdraw your PF money. Please carry forward your PF account in case you are changing your employer. Try out all the other options and sources to meet your financial exigency. EPF withdrawal should be your last resort.  Next articleHow can I get my LTCG tax statement for my equity mutual funds?